Visit to the Benedictine Monastery of Čokovac in Tkon; Franciscan monastery in Kraj on the island of Pašman; Benedictine Nunnery of Saint Mary in Zadar; Saint Francis Monastery in Zadar; tour of the Krupa Monastery on the Krupa River under the Velebit Mountain. The secrets and treasures of the oldest monasteries in this region tell its thousand-year-old history. We will guide you to the magical landscape and serenity of the monastery on the Čokovac Hill near the village of Tkon where you will see the last refuge of the Order of Saint Benedict in Croatia, the first such order in Western Christianity in Europe, and later we will pay a visit to the Franciscans in the village of Kraj. In Zadar we will take you into the treasury of the famous Benedictine Nunnery of Saint Mary which holds the permanent exhibition Gold and Silver of Zadar, and then to the oldest Franciscan monastery in this region which was created by the very founder of the Order of Saint Francis when he visited these shores. The Serbian Orthodox Monastery of Krupa near the source of the River Krupa holds the firmans (royal decrees) of Ottoman sultans, as well as one of the most beautiful examples of Italo- Cretan icons. Three-day to five-day packages are available. 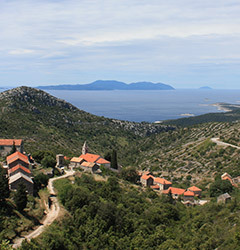 An approximate program for a three-day package includes: Day 1: boat ride to Pašman Island (Čokovac and Kralj); Day 2: Zadar (treasuries of Saint Francis and Saint Mary churches/monasteries); Day 3: Krupa (Krupa Monastery). 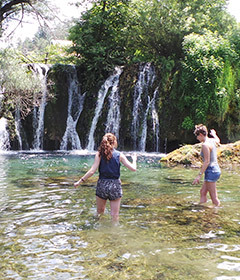 The package is available from April until September for groups of 6-50 people. 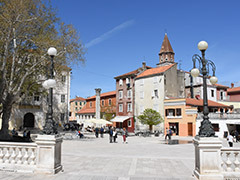 Accommodation is in the fourstar Illirija Resort Hotels & Villas Biograd, Heritage Hotel Ražnjevića Dvori 1307 AD in Polača, as well as Camping Park Soline Biograd (trailers) or in private apartments, while transport is organized by us. Expert guides are available in English, German and Croatian (also other languages by request). All listed information is estimated and non-binding so please contact us to finalize the offer.